Scouting depends on Offers of Service (also known as OOS) to help run events, camps, activities and more across the country. I have seen Offers of Service primarily at Jamborees, national and international camps. 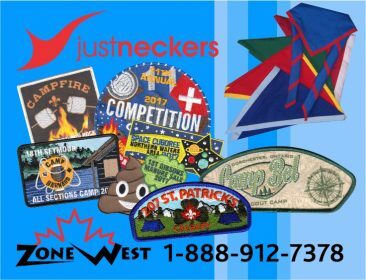 I have helped with many camps since I was in Scouts and have been particularly involved with volunteering to help run events and camps as an OOS while in Venturers and Rovers. One of my favourite experiences as an OOS was in 2012 at the Great Lakes Jamboree in Dorchester, Ontario. I was helping out at the Scout Craft area where I taught Scouters and youth how to safely handle and care for various tools including knives, saws and axes. After the lesson, the participants had the opportunity to light a match by sticking it in a piece of wood and striking it very carefully with an axe. Many were successful; some even showed me that they could strike a match off their teeth, jeans, boots and zippers! weekend. Every year a different Area hosts the event—it switches between North Bay, Sudbury and Algoma Country (Sault Ste. Marie). Most of this camp is run by OOS from Venturers, Rovers, Path Finders, Rangers, Scouters and Guiders. This has become one of my favourite camps because I have become good friends with many people from North Bay and Sudbury. We get to run events, organize teams and hang out together as Offers of Service. The chance to meet new people is one of the many benefits of being an Offer of Service: I have met some of my favourite people volunteering at camps across the Council. The Offer of Service program has given thousands of youth and Scouters the opportunity to grow and develop friendships that you can’t find anywhere else. 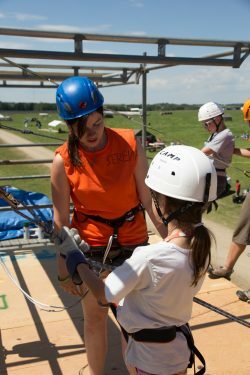 Volunteering your time with Scouts Canada is already a fabulous opportunity, but being an Offer of Service is incomparable. There are many nights at camp when the younger OOS stay up late running security, getting to know one another or having fun with friends they are already close with. The tiredness they feel the next day is always quickly replaced with energy from the fun they have running events, organizing teams or being able to sit around a campfire again. Scouts Canada volunteers put hundreds of hours every year into the development of our youth to help them become well-rounded citizens and caring individuals with skills they will use in every aspect of their life. Those hundreds of hours are worth it though, especially after seeing a youth smile when they learn something new, breathe in the crisp air of a fall camp and make life-long friendships with people they met through Scouting. It's a Scouting Life for Me!